Ingeborg Christophersen (born in Oslo 1985) received The Norwegian Society of Tone Artists' price of honour "Musician of the Year" in 2003 and has been awarded the first prize in the Norwegian Championship for Young Musicians several times. In 2012 she was appointed a two-year work grant from the Government Grants for Artists, Arts Council Norway. Ingeborg was one of four nominees to Statoil's grand scholar ship of 2013 for classical musicians. Ingeborg has been a soloist with orchestras such as The Norwegian Baroque Orchestra, Barokkanerne, The Norwegian Opera Orchestra, Ukraine's National Symphonic Orchestra and the Norwegian Radio Orchestra. She has projects with Concerts Norway in Norway and Bangladesh. In 2006 Ingeborg participated in the TV show "Kjempesjansen" at NRK1. In 2009, Ingeborg acted herself as an actress and musician in the play Salong at the National Theatre in Oslo, Norway, a performance that was highly popular amongst press and audience and nominated as "Play of the Year". In the same year, she also won the music competition "Toneprisen". In 2010, Ingeborg was a soloist in Vivaldi concerti in Jo Strømgren's ballet "The four seasons" in the Norwegian Opera House. In 2008, Ingeborg received her Master Degree in Early Music from The Academy of Music and Dramatic Arts, Denmark, with the highest mark, after studies with Mr. Nikolaj Ronimus. In 2010, she completed four years of study at Conservatorium van Amsterdam in The Netherlands with Prof. Paul Leenhouts and Mr. Jorge Isaac. In 2011, Ingeborg completed her harpsichord master studies with Ms. Monica Westheimer at the Academy of Music and Dramatic Arts, Denmark. Ingeborg has written master assignments about ornmentation in French harpsichord music and in J. S. Bach's keyboard music and about the diminution practice in the16th century Italy. Ingeborg is working with a wide range of musical expression and completed the four year programme "Contemporary Music through Non-Western Techniques" at Conservatorium van Amsterdam in 2011, focusing on South-Indian carnatic complex rhythm systems. 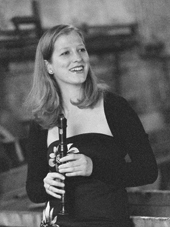 From 1997 to 2003, Ingeborg was inrolled in the talent programme of Barratt Dues Musikkinstitutt and Oslo Musikk- og Kulturskole, studying the recorder with Svein Egil Skotte. As a 17 year old, Ingeborg toured for nine weeks with Brageteatret as an actress and musician in the play "Historien om den lille mannen", working with the British "Bebeto String Quartet". The same year, she performed for the Nordic Minister Council. Ingeborg has had private lessons with artists such as Michala Petri, Dan Laurin, Peter Holtslag, Ashley Solomon, Markus Zahnhausen, Steinar Ofsdal, trompetist Kristian Steenstrup, pianist Elisabeth Klein and harpsichordist Knut Johannessen. She has played concerts in Norway, Sweden, Denmark, at the Faroe Islands, The Netherlands, Germany, Italy, Slovenia, Ukraine and Bangladesh. As a harpsichordist, Ingeborg has played with ensembles such as Barokkanerne, The Norwegian Chamber Orchestra, The Norwegian Radio Orchestra, The Norwegian Soloist Choir, TrondheimSolistene, Tromsø Chamber Orchestra, Trondheim Barokk, Oslo Camerata and Kristiansand Symphonic Orchestra at festivals such as Festspillene i Nord-Norge, Lillehammer Literaturfestival and Oslo Operafestival. In Oslo Operafestival, Ingeborg was both the harpsichordist and conductor of the Telemann opera Pimpinone in 2012. In addition to her freelance activities, Ingeborg is currently working as an organist in the medival Nesodden Church outside Oslo. Ingeborg has received financial support from Klæstads legat, Fegerstens stiftelse, Jansons legat, Helle Bennetts Allmennyttige Stiftelse, Skipsreder Tom Wilhelmsens stiftelse, Lise og Arnfinn Hejes fond, Fondation Idella, Danmarks Nationalbanks Jubilæumsfond, Stiftelsen Selvaag and Ånun Lund Rej minnefond.